UPDATE #2 (July 12): The Pacific Northwest Golf Association (PNGA) has decided to reinstate Graysen Huff, who was disqualified after a scorecard error in the second round of stroke play qualifying. Huff was not replaced in the match play field, but rather his first-round match play opponent Drew Reinke was declared the winner of their match. However, after match play started, it was discovered that the PNGA acted in error in handing down the disqualification, and so Huff was reinstated, the match with Reinke was played, and Huff was the winner. Huff also won his next match but, because of the timing of the discovery of the ruling error, Huff's matches have been behind all of the other matches in the tournament. As a result, three of the semifinalists have been determined but Huff and Jacob Koppenberg have yet to play their quarterfinal match. From the PNGA: "During yesterday's round of 64 matches in the Pacific Northwest Men's Amateur Championship, the Championship Committee discovered that Graysen Huff did not sign his scorecard in the second round of stroke play competition. Upon discovery, the Committee discussed the situation and made the decision to disqualify him from the competition based on Decision 34-1b/8 in the Rules of Golf. After further consultation with the USGA regarding this decision, the Committee was informed that Decision 34-1b/8 is not applicable to an unsigned scorecard, thus, Graysen was disqualified in error. The Committee has reinstated Graysen in to the competition and the Round of 64 match between Graysen and Drew Reinke will continue from the point at which it was interrupted this [July 12] afternoon. The competition will continue with the matches affected by the error being rescheduled as necessary. The Committee acknowledges the ruling was made in error and would like to apologize to Graysen Huff and all competitors affected by the decision. The blame for the misapplication of the decision falls on our shoulders and we are taking the steps necessary to correct the decision as quickly as possible." UPDATE #1 (July 11): Since the article below was written, it was discovered that Graysen Huff did not turn in a signed scorecard in round two, and therefore has been disqualified from the competition. From the PNGA: "During play in the Round of 64, it was discovered that Graysen Huff’s Round 2 scorecard had been turned in without being properly signed by the player and his marker. Accordingly, the Championship Committee has followed the procedure outlined in Decision 34-1b/8 in the Rules of Golf, and Drew Reinke is the winner of the 1 vs. 64 match by default. Jan Schneider (Seattle, WA) will be awarded Medalist honors." DUPONT, WA (July 11, 2018) - Graysen Huff of Eagle, Idaho shot rounds of 65-66 to easily win medalist honors in stroke-play qualifying for the 117th Pacific Northwest Men’s Amateur Championship, being held this week at The Home Course in DuPont, Wash.
Huff will be the No. 1 seed entering the match play portion of the championship. The Round of 64 will be held Wednesday, July 11, followed by the Rounds of 32 and 16 on Thursday, the quarterfinals and semifinals on Friday, and the championship match on Saturday, July 14. Each match will be contested over 18 holes, with the exception of the final match, which will be played over 36 holes. Huff blistered the back nine at The Home Course, shooting a combined 10-under-par over the two days. His only hiccup in today’s round was a double-bogey on the par-4 seventh hole, but he eagled the next hole, a 561-yard par-5, to immediately make up for it. Huff, a rising senior at the University of Auburn, was named PNGA Junior Boys’ Player of the Year in 2014, and in 2015, while still in high school, was given an exemption to play in the Web.com Tour’s Albertsons Boise Open. The cut to make it into match play came at 4-over-par. Some of the 64 players to make it into the match play bracket include Derek Bayley of Rathdrum, Idaho, a recent graduate of Washington State University who finished runner-up finish in last year’s championship; Colby Dean of Eagle, Idaho who won the Idaho State Amateur last month; Joe Neuheisel of Scottsdale, Ariz., the 21-year-old son of former Washington and UCLA football coach Rick Neuheisel; Reid Hatley of Hayden Lake, Idaho, who was the PNGA Men’s Mid-Amateur Player of the Year for three consecutive years (2015-17); and Gabe Spach of Seattle, who won the 2016 PNGA Junior Boys’ Amateur, held at The Home Course. First held in 1899, the Pacific Northwest Men’s Amateur is one of the country’s longest running amateur championships. Held annually at world-class courses throughout the Pacific Northwest, this championship is played in the same format as the U.S. Amateur and features an impressive list of past champions that include; Nick Flanagan, Ben Crane, Jeff Quinney, Bill Sander, and Tiger Woods. 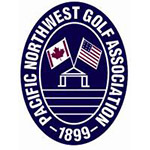 Eligibility is open to members of the Pacific Northwest Golf Association and top amateurs throughout the world invited via Presidential Invitation. Each year’s champion earns a hosted exemption in to the Pacific Coast Amateur and Sahalee Players Championship. Stroke Play – All players must complete the 36-hole stroke play qualifying in order to determine the 64 players who will advance to match play. In the event of a tie for the final qualifying spot(s), a sudden- death playoff will be used to determine the qualifiers. In the event of a tie for the Qualifying Medalist, a sudden-death playoff will commence.